"Turning the world upside down!" We learn a lot from the opposition…! "Those who have turned the world upside down have come here too. Jason (one of the new believers) has harboured them, and these are all acting contrary to the ‘decrees of Caesar’…saying there is another King – Jesus." (Acts 17:6-7) That is a powerful message, BUT it does not always make us popular! We would rather be Biblically correct and honour God… than be politically correct and honour man! Let’s look at the impact of Yeshua’s (Jesus) return on four different categories of people who are symbolic of those who will witness His return: The faithful and wise servant… the ten virgins… the servants given talents… and the sheep and the goats. 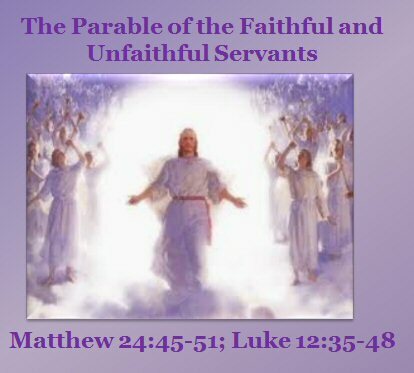 The Faithful and Wise Servant… The first category, contained in Matthew 24:45 – 51, speaks about those whom the Lord has set in His household to care for the needs of His people – specifically, to give them appropriate food at the right time. What kind of a person does this servant / ruler indicate for us today? This description is found in 1 Peter 5:1 – 4. This speaks about those whom the Lord has placed in His flock as overseers. The overseers – the pastors – the shepherds – the elders and the apostles are appointed by God… in the flock …and over the flock. Let’s not emphasise one preposition at the expense of the other. They are not just over the flock… but they are in the flock. This is true of all the five fold ministries mentioned in Ephesians 4:11. When Peter says… "Shepherd the flock of God which is among you," he is not talking to a superior class of people who live on a different level from the rest of God’s people. The first requirement for such a servant/ruler is not success but faithfulness! 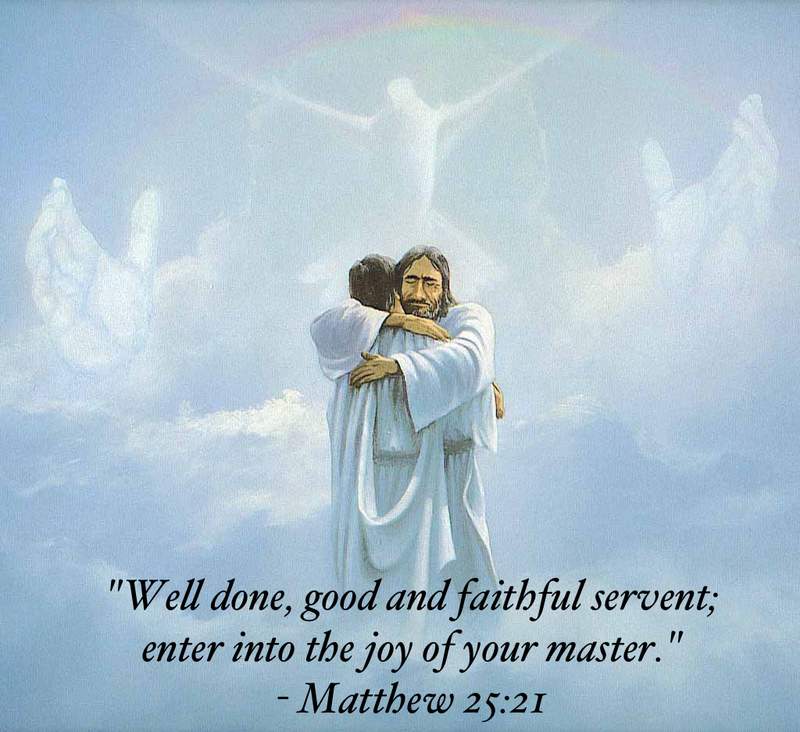 God does not look for success as the world understands it He looks for faithfulness; "Who is that faithful servant?" Success is accomplishing faithfully the task allotted to you by the Lord! We see the task here is to give God’s people their food in due season. There is a pastoral task, a shepherd’s task. A true pastor knows exactly what his particular flock needs… this true shepherd is always among the sheep and in fact will smell like his sheep. If we look at the picture of the judgement seat of Yeshua described in Romans 14 and 2 Corinthians 5 from which He will judge the church, we find there are only two categories; good or evil. There is nothing in between! We in the church have invented a third category: not good but not evil either. In God’s view that category does NOT exist. If you are not good, you are evil! A lot of people in our churches today are "fence sitters." They are not really committed, but they do not want to be classed as unbelievers. When the Holy Spirit comes to the church, however one of the first things he does is "electrify" the fence and that is why some people do not welcome the Holy Spirit – they want to stay comfortably seated on the fence. What is the feature of this evil servant? He says, "My master is delaying his coming." In other words, he has lost the vision of the imminent reality of the Lord’s return! In churches where the Coming of Yeshua (Jesus) is not proclaimed as reality the standard of holiness will never be like those of the New Testament. Yeshua’s return is an essential truth to produce holiness in God’s people. The evil servant says, "My master has been away a long time! I haven’t heard anything about him. I haven’t really been in close touch with him. I can live it up!" He becomes domineering and begins to beat his fellow servants. It is easy for people who occupy the position of senior pastors / pastors to become domineering and controlling. Spiritual abuse can be difficult to detect at first if you have never encountered it… In a manipulative church, the pastor or senior leaders have subtly positioned themselves to take the place of the Holy Spirit in people's lives. They may try to put undue influence on the choices that people in their congregation are making. They might try to sway someone’s decision in a matter to keep them under their control, or to keep them from leaving the church. People in a controlling church are often told they cannot leave the church with God's blessing unless the pastor approves the decision. They are warned that if they don’t follow the pastor’s guidance, not only will God not bless them, but they will also bring a curse upon themselves or their family. And, leaving the "covering" of the church and the controlling pastor will result in some sort of calamity. When a pastor tells his congregation that those who leave his church or disobey his authority are in danger of God’s wrath, you can be sure this man is operating in a spirit of control. He is attempting to sow fear as a carnal means of keeping people in his church. "If you leave this church," he may warn, "the blessing of God will be lifted from your life, and you will miss God’s will. You will be in rebellion, and you will open yourself up to all kinds of calamity. The devil will have freedom to attack you because you have walked away from God’s protection," that "protection" being the one true church that he happens to pastor. Fear is the motivation behind such comments… not love! You can be sure that this type of reasoning is not from God. Yeshua (Jesus) never motivated people out of fear. Fear is a form of manipulation, which is sin. Instead of motivating people through love and a call to serve the Body of Christ and reach the lost, a spiritually abusive minister will try to motivate through manipulation. The apostle John is called the "apostle of love" because he wrote so much about our call as Christians to walk in love. "There is no fear in love; but perfect love casts out fear," 1 John 4:18. By keeping people in fear, controlling spiritual leaders work to get good people to build their religious kingdoms by telling them that they are building the Kingdom of God. We see this kind of prophet and priest in the Book of Jeremiah. The controlling leaders are focused on their own needs being met, and the needs of the people are ignored. We have to stay Kingdom minded at all times! God’s heart is for the lost… His Word says that He will go after the "one" lost sheep…! Yet God will never put His anointing on something that we humans seek to control. God says, unless I am allowed to be in charge, you can go through your religious procedures. You can use all the words and titles. But, the results will NOT be what come only from the Holy Spirit. The pathway that leads to life is a straight and narrow way, and there are ditches on either side. One side is self indulgence or carnality. We can fall into that ditch. Then we can struggle out of that ditch and if we are not careful we can fall into the opposite ditch which is legalism. We have to walk between the two. We have to bear in mind that not only is Yeshua (Jesus) the Saviour but He is also the Judge! He is just as thorough and faithful in judging us as He is in saving us. If we do not live for Him as Saviour, we will encounter Him as Judge! These are the only two options before us. We do not want to squeeze through life, just barely surviving. We want to come through victorious. What will we have to go through on our way to victory? The Ten Virgins… Now we come to the next category that will feel the impact of the coming of the Lord, found at the beginning of Matthew 25:1 - 13. In the Bible, ten is the representative number of a congregation. In Judaism a minion – at least ten persons – must be present before public prayers can be offered. Our thoughts here are that these virgins represent church goers. Here are three points about those ten virgins that are common to them all… (1) They all expect the bridegroom. They all know the bridegroom is coming. They are not unbelievers. (2) They all have lamps and oil. Almost always, oil is a type of the Anointing and the Holy Spirit. They all have the Holy Spirit in their lives. (3) All of them slumber, both the wise and the foolish. Both groups were carrying lamps, so these vessels are not a sign of who had prepared… Similarly, a person carrying a Bible to church does not show that that person has prepared by study and prayer during the previous week to overcome sin and produce spiritual fruit. There is only one difference… the amount of oil they have. The wise have oil enough and some to spare. The foolish do not have a reserve of oil. We need to know again that there is NO middle category – either we are wise or foolish. The wise virgins prepare by carrying extra oil for when the lamps run low…this pictures readiness for future needs, which requires; forethought, planning, and dedication. The foolish virgins do not prepare, content to carry only enough to appear wise. They carry out God's instructions with the least amount of effort they think they can get away with (Ecclesiastes 9:10). The foolish aren’t spiritually concerned about their future, but the wise are… even though they have to carry the extra weight of an oil container. However, this extra preparation gives them the ‘hope and faith’ they need to meet the bridegroom successfully and enter the marriage feast. Why did the wise virgins refuse to share with the foolish? It was midnight, and the lamps were needed for the procession and the rest of the night. The reserve oil supply was only enough to supply oil for the lamps of the five wise virgins. So the inability of the wise to provide oil for the foolish illustrates that no one can give to another what he has done to add works to his faith (James 2:14, 17-22,24,26). Our faith must be our own through Yeshua (Jesus) it cannot be borrowed. Moral character or spiritual gifts can’t be transferred from one person to another unless God ordains it like in the case of Elijah and Elisha. It is interesting to note that the wise virgins say to the foolish; "Go and buy oil!" But, how can we buy oil…? Initially the Holy Spirit is a gift but if we want to remain filled there is a price to pay… by spending time with God, His Word and in prayer. Knowing that human nature loses heart over time without the help of the Holy Spirit, Yeshua understood that His church would need encouragement to be watchful while awaiting His Second Coming. Yeshua (Jesus) gives ample warning in His teaching concerning the "Last Days" and the need for spiritual preparation for them. But He also realizes that His church would need spiritual focus while waiting for His return… Therefore, He warns that lack of adequate preparation for His Second Coming can be eternally devastating. Yeshua makes the purpose of this parable clear in Matthew 25:13… "Watch therefore, for you know neither the day nor the hour in which the Son of Man is coming!" Was the closing of the door to the wedding feast fair? The door is shut with finality. The verb tense says the door is shut to stay shut…! Therefore, at that point, no one's repentance, prayer, or pleading can change that fact. Noah’s ark having its door sealed shut is a similar vivid illustration of its finality (Genesis 7:16) …it was shut to stay shut throughout the Flood. All the pleading in the world would not open the ark's door to others after it was shut. Once Christ has come or we have died, our opportunity to be among the firstfruits of the Kingdom will have been decided. 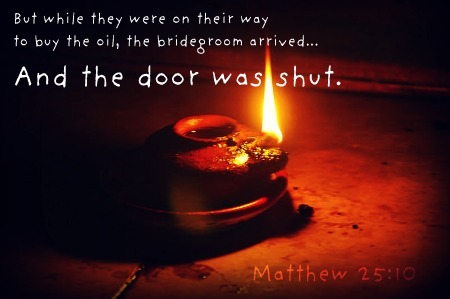 The door's closing is fair because everyone had ample time to prepare for the bridegroom’s coming. He does not come early in the evening but late. He is even delayed (Matthew 25:1- 5), giving extra time to be ready. What Yeshua says to the church of Laodicea is in so many ways a picture of churches around the world today; “Because you say, I am rich and increased with goods and have need of nothing, and do not know that you are wretched and miserable and poor and blind and naked, I counsel you to buy from Me gold purified by fire, so that you may be rich; and white clothing, so that you may be clothed, and so that the shame of your nakedness does not appear. And anoint your eyes with eye salve, so that you may see” Revelations 3:17 -18. The foolish ‘Laodicean’ attitude dictates that one needs nothing else spiritually, but such a one will be rudely awakened to realize his terrible un-preparedness. This attitude is bankrupt of vision and foresight. It sees no need to prepare for the eventualities of life either physically or… more importantly, spiritually. Opportunities come and go through life, and no opportunity is so greatly lost than that of the foolish virgins...They fail to realize that the bridegroom would probably come later than expected. They lack faithful perseverance in thought and action. The church of Laodicea has it all, but He says; “You are poor!” What would He say to many churches today? Would He say “You are rich” or “You are poor?” God views things differently to us… are our lamps ready? 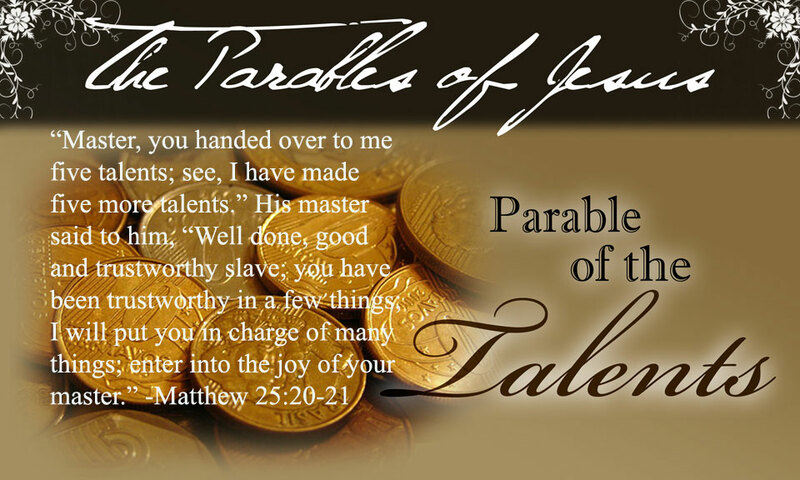 The Parable of Talents… Not only does Yeshua (Jesus) expect faithfulness in duty and preparedness even through a long delay… but He also expects an improvement upon what He initially bestowed. More than that, He expects improvement from bestowal to the day of reckoning. In the ancient Middle East, a talent was a unit of weight and later of money… Yeshua probably meant to convey nothing more than quantity, a measurable amount, from which we could draw a lesson. We thus need to improve or grow in areas that can be measured. Talents, therefore, should best be equated with spiritual gifts. Yeshua also illustrates the varying levels of responsibility and the differing amounts of gifts. In the Parable, the gifts are given according to natural ability, but all who increase equally are rewarded equally. Their trading of the talents signifies the faithful use that one should make of gifts and opportunities of service to God. In the natural world, talents differ… One man may design another has the talent to craft woodwork or cut and lay the stone. Another person has the talent to speak from the pulpit. Still another has the talent to write music that is played on guitar or piano. Each has talents which differ from each other, yet they are dependent on each other. Thus, one person is no better or more important than the other, though one may have greater natural ability. God clearly shows that the greater the capacity, the greater the responsibility. But we also find that though there is equality in opportunity, there are differences in talent. In the first place, all of the talents belong to God. They are His to bestow on whomever He wills. These talents, gifts, are not things we possess by nature but are Christ’s assets, abilities, which He lends to us to use. God judges according to what we have. And, since He is a perfect judge, He is the only one qualified to measure whether we are using and increasing our gifts, or whether we are hiding and squandering what He made available to us. The tragedy of the story and the focus of the parable is the man who hid his talent… From him we probably learn the most. First, the talent was not his in the first place; it was on loan. Second, Christ shows that people bury their gifts primarily out of fear. Third, the whole parable illustrates that regarding spiritual gifts, one never loses what he uses. That is a powerful lesson: if we use the gifts that God gives us, we cannot lose! The one who was punished never even tried, so God called him wicked and lazy… His passivity regarding spiritual things doomed him. Not all are expected to produce the same results, but all are expected to be equally faithful to the gifts God entrusted to them. Interestingly, the one who was unfaithful to what God gave him failed to produce based on his reasoning that God is unfair. Like so many people today, he felt victimized. Blaming his master and excusing himself, this servant with one talent fell to the temptations of resentment and fear. Together, the two are a deadly combination. 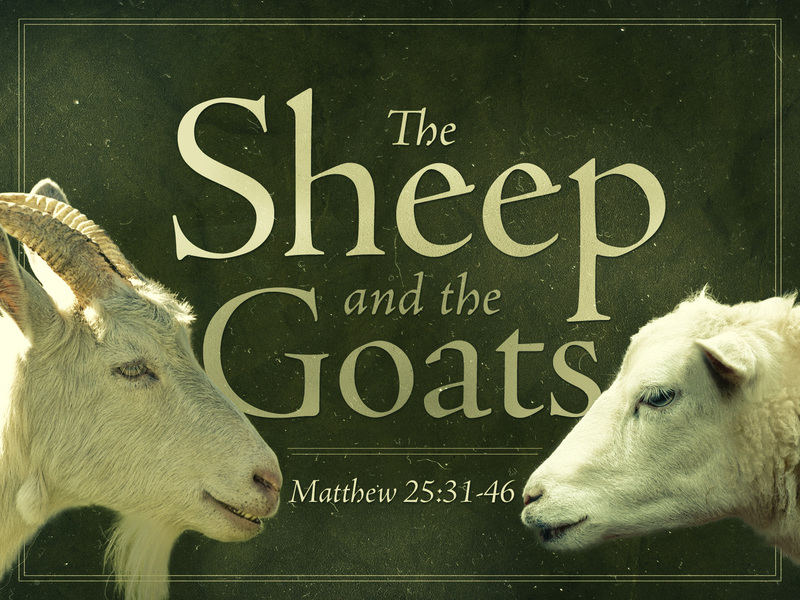 The Parable of the Sheep and Goats are these that Yeshua (Jesus) was going to separate… in Matthew 25:31 - 46 we can see a distinct separation and there is once again NO middle ground. To understand this passage, we need to recognise that this is a follow on from Joel 3:1 which gives us the setting. In this Scripture the Lord says; “Behold, in those days and in that time, when I bring back the captives the Judah and Jerusalem.” This is prophecy about days in which we are living when the Lord is bringing back Jewish captives from all over the world. The next verse (vs.2) describes another gathering that will take place in the land of Israel… “I will gather all nations and bring them down to the Valley of Jehoshaphat (which means; “the Lord Judges”) and I will enter into judgement with them there on account of My people, My heritage Israel, whom they have scattered among the nations! They have also divided up My Land.” Speaking here on the judgment of the nations at the close of this present age, God says; “I will judge them on the basis on how they have treated the Jews and the land of Israel.” In addition; we note that the Son of Man does not gather the Jews… only the gentiles (nations). The first charge... “They have scattered Israel!” Historically in fulfilment of prophecies by Moses in Deuteronomy 28, there have been two major dispersals of Israel into exile out of their own land. The first took place between about 720 BC and 600 BC when the Northern Kingdom known as Israel was taken into exile by Assyria. And, then the Southern Kingdom (known as Judah) was taken into exile by Babylon. The second dispersal by far the greater, took place about AD 70, when virtually the whole Jewish nation resident in Israel were either killed or driven into exile by the Romans. Although there were always a remnant of Jewish people in the land of Israel the majority of the Jewish people remained in dispersion until the State of Israel was reborn in 1948. Anyone familiar with Jewish history during the past 2,000 years would have to admit that Moses’ prophecies of dispersal has been exactly and repeatedly fulfilled in nation after nation all around the world… Furthermore, we have to acknowledge that the fulfilment did NOT cease in Biblical times or even many centuries ago, but that it has continued right into the present century. And, the nations involved in that dispersal WILL BE held accountable by God! The “sheep” are aware that God has promised to… “Bless those who bless Israel, and to curse those who curse Israel” (Genesis 12:3) and that God’s covenant with the Jewish nation is eternal and ever lasting. 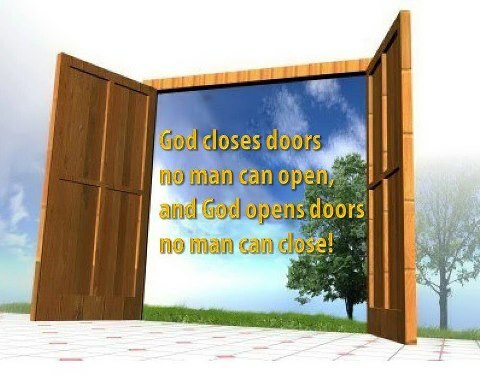 In Revelation 3:8, the phrase “open door” is being used… not so much as an opportunity, but as a reward… “I know your works. Behold, I have given before you an open door, and no one can shut it. For you have a little strength and have kept My Word and have not denied My name.” The door Christ opens to the Philadelphian, the door no man can shut, may well be the door to the Kingdom itself! In the “Parable of the Ten Virgins,” the door is open to some of the virgins and closed to others. In the description of New Jerusalem, the gate is open only to those whose names are written in the Book of Life (Revelation 21:27; 22:14). Christ opens the door to the Kingdom because of the Philadelphian church’s faithfulness, just as He promises to keep him from the hour of trial because of his perseverance (Revelation 3:10). 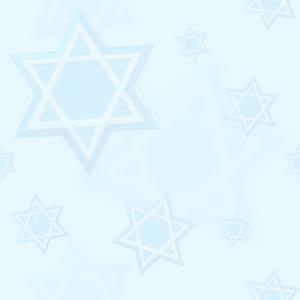 The Jews are the KEY to God’s heart. When they as a people, rejected Yeshua (Jesus) as their Messiah, they broke His heart, BUT when Christians rejected the Jews, God’s heart was broken all over again... Christian anti-Semitism is a blemish on history and a stain on the church and until there is an honest acknowledgement of this fact, the church is travelling with the hand-brakes on. Sadly, we see many pastors and Christians who are happy to visit Israel and see where Yeshua (Jesus) walked, BUT they have utterly no interest in the miraculous and prophetic renewal of the Jewish state, which is now in progress. Perhaps this is an expression of the ultimate in anti-Semitism, the denial that the Jewish people have any place in God’s plan today. The Church and Replacement Theology… In Romans 11 Paul describes the relationship between Israel (the Jewish people and God’s ancient and ongoing covenantal relationship) and the Church. In fact, the entire three chapters of Romans 9-11 are focused on this topic and culminate with the “olive tree” image. Paul shows us that the “olive tree” represents the covenants and promises to Israel, growing from its holy Root, which is the Messiah, the Word of God. The natural branches are the people of Israel. Those who turned away from that relationship were broken off. Christians are simply the “wild branches grafted in” among the natural branches to “became a partaker with them of the root and fatness of the olive tree,” which God established (Romans 11:17). It is evident from Scripture, as well as from nature, that the root and trunk support the branches, and not vice versa (vs.18). In this position, there is NO room for pride or the notion that we Christians have replaced Israel (the Jewish people), or that God rejected His own covenants and promises in the Hebrew Scriptures (the Old Testament). There is NO room for boasting and arrogance, as the Church has been prone to do, as both the natural branches and the engrafted wild branches only remain by faith (vs.18-21). The Church is an extension of a plan that pre-existed it. Therefore, there should only be Godly fear (vs. 20) and thankfulness for the Lord's great mercies to us (vs. 33-36), as well as an attitude of love and mercy towards the Jewish people who are beloved for the sakes of the fathers (vs. 28). After all, it is through Israel and His covenant people that God gave us everything we Christians hold spiritually dear! There is only one tree, not two, and we “wild branches” have been privileged to drink in new life from the cultivated, established tree. Often, the Church has lacked even the most basic understanding of our Hebrew roots... Also, it has NOT recognized that we cannot fully grasp who we are, without acknowledging these roots. As a result, the historical Church has sadly perpetrated outrageous acts towards the “natural branches” (the Jewish people) during the Crusades, the Inquisition, the Pogroms, and even in the formulations of the teachings that became a religious justification for Hitler's Final Solution of the so-called “Jewish problem” in the Holocaust. Instead of mercy, Christianity showed contempt. God’s eternal purpose is to bring about the redemption of the world…. God chose the Jewish people for three things: (1) to bring to the world the example of God by their life of faith and action; (2) to record and preserve the Word of God, the Bible; (3) to be the human channel for the Messiah. And, the Church was called to take this redemptive message to the whole world… Ephesians 2:11-13; Romans 11:17-18 and Matthew 28:19–20. Christianity did not spring forth from a vacuum. It sprang from the highly developed religious tradition and culture of ancient Israel. It is all too easy for us Gentiles to forget this all-important fact. It was from this “Jewish/Hebrew” perspective that the Church began to reach out to the world of the Gentiles. It was as if Judaism had been uniquely tailored by Yeshua and the apostles to be made “attractive” to Gentiles. Gentiles would now be able to receive the Jewish Scriptures, to heed the Jewish prophets, and to sing the Jewish Psalms. As Paul went out with the Gospel message, he was careful to stress that the message was emanating from Jerusalem and Israel. He encouraged Gentile saints to collect funds for the needy in Jerusalem (I Corinthians 16:2-4); he referred difficult doctrinal decisions to Jerusalem and to the Jewish elders there (Acts 15:2); his Gospel journeys usually began or ended in Jerusalem. He even gave the Gentile church an example of keeping Jewish feasts in Jerusalem (Acts 20:16). The Apostle Paul did something else as he ministered among Gentiles. He stressed the importance of keeping the right attitude toward Israel and the Jewish people. That attitude was to be one of humility (Romans 11:20), mercy (Romans 11:31) and kindness, even to the point of stressing an obligation in sharing material gifts with the people of Israel (Romans 15:27). It was a wonderful ideal. But, in time, sadly Paul's exhortations began to go unheeded.